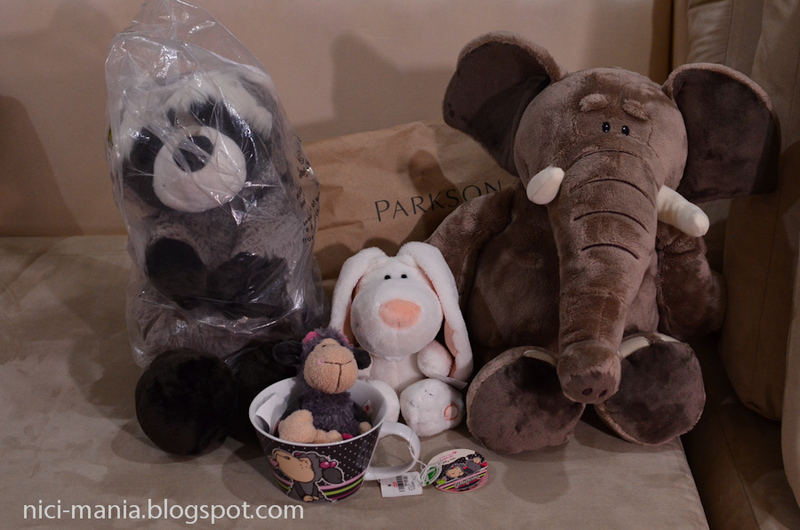 Let's show you our NICI plush hoot from the Malaysia NICI Shop and Grand Parkson! Our flock are super duper excited to welcome our new NICI plushies! 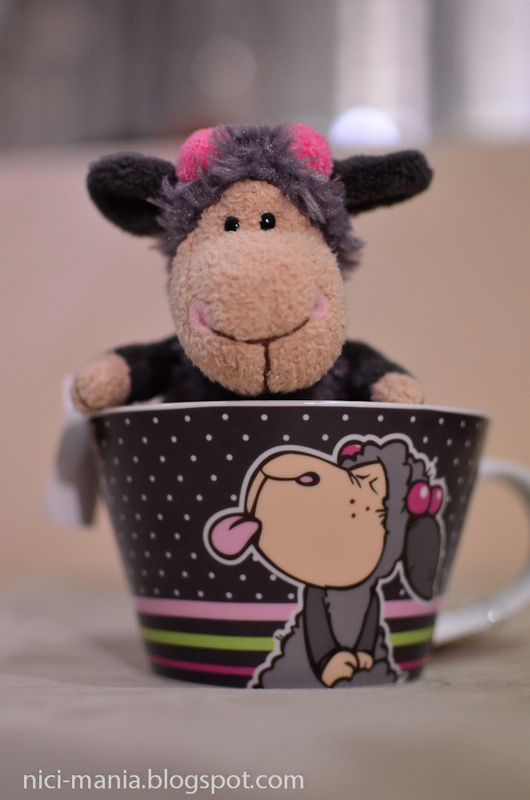 The lovely Jolly Lucy mug! And 15cm Jolly Lucy in the plush! We love the Jolly Lucy mug! Although its pretty expensive for a not really XL mug. 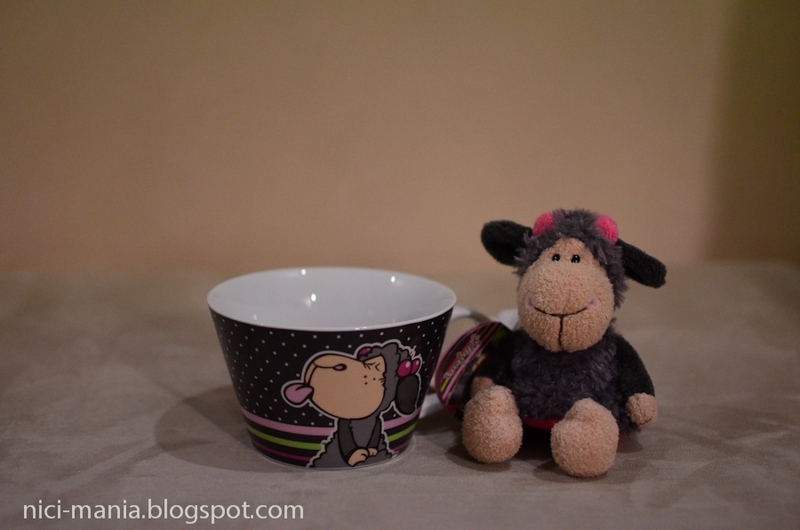 Jolly Lucy is very happy with Jolly Lucy mug! 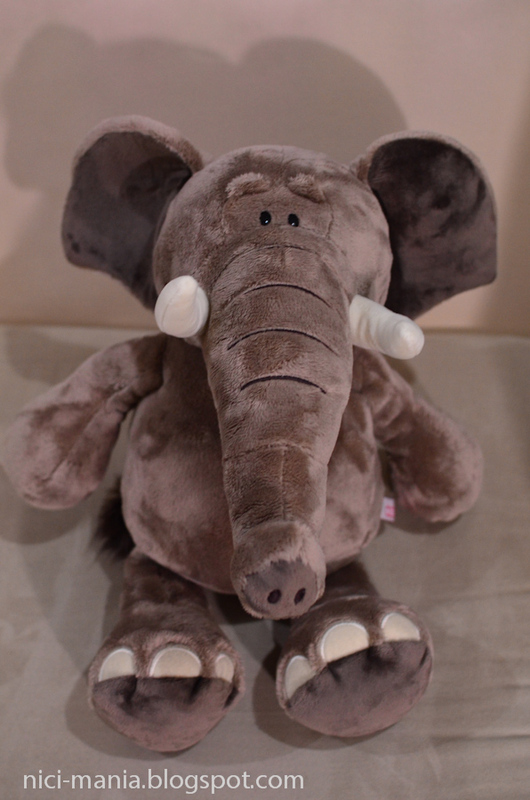 50cm NICI Elephant from the NICI shop joins our flock too! 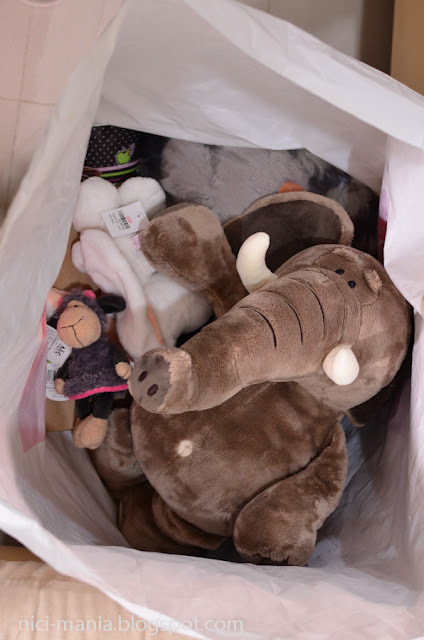 The elephant is so adorable, we will feature him in our next entries. 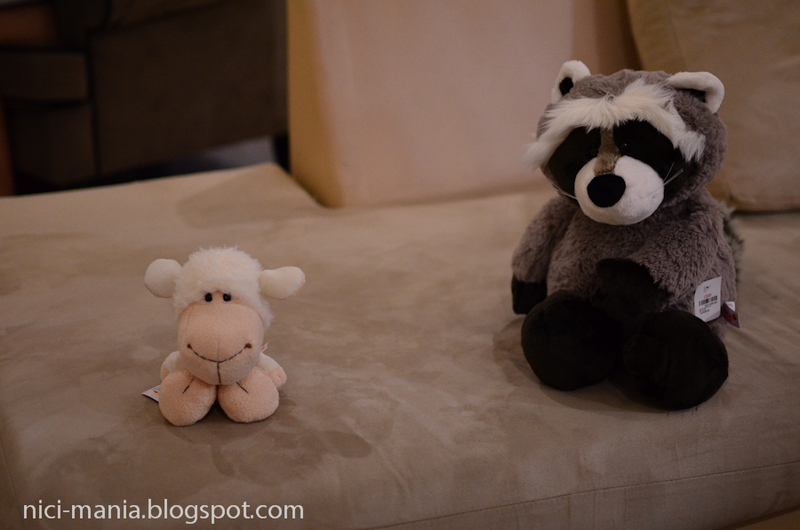 Last but not least, we finally got 50cm NICI Raccoon to join our family! 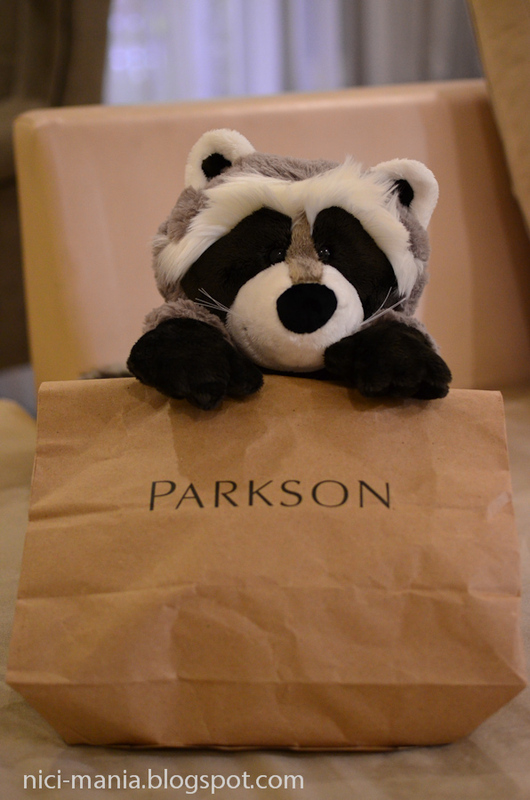 Guess whats in this Parkson bag? NICI Minily Jolly Mah Sheep pops his bubbly big head from the bag and NICI raccoon quickly made friends with him! 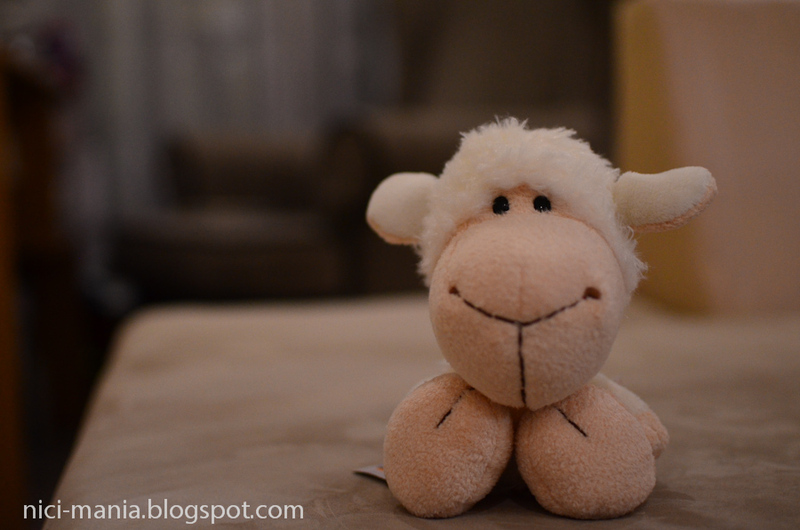 We are very happy to have found this very cute NICI Minily Jolly Mah Sheep from Parkson. Could not resist his cute innocent eyes staring at us. My flock sends a hearty welcome to all your very cute new plush :-) It is always such a great feeling to take new Nicis home to the family! The most adorable for us is Minily Jolly Mah!!!! 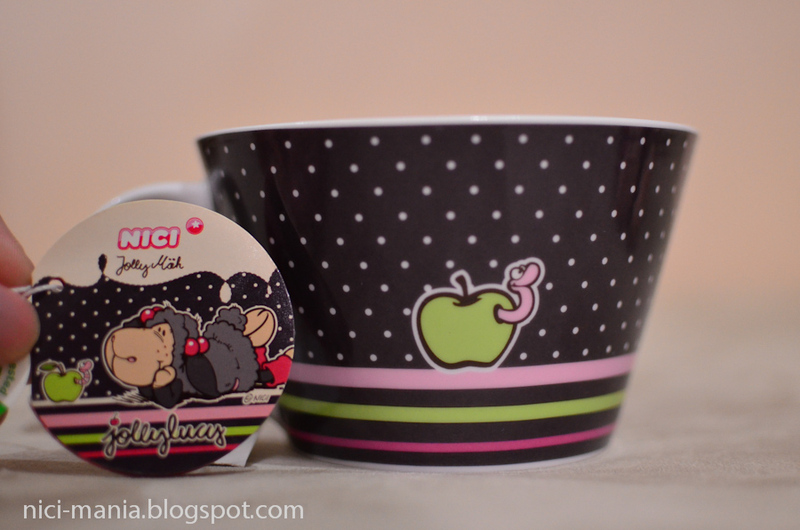 A Jolly Lucy mug?! How cool! We think we need a Jerry and Ben mug too! 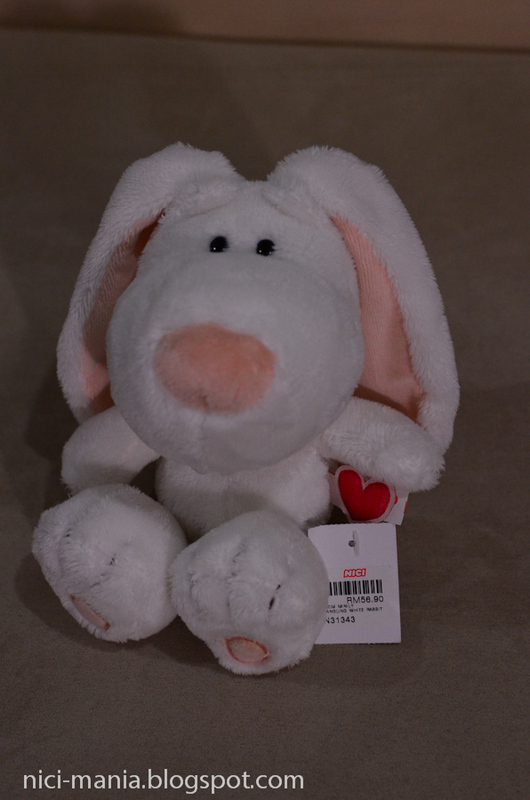 I love the elephant, is beautiful and the minily rabbit is pretty, has a very cute face!!!!!!!! Super cute!!!! i have the Lucy mug too! it is too cute!! @Minghui: might wanna get more raccoons, they are too cute!!!! I 'm regret buying the 35cm one. It's too skinny for elephant figure and it don't have toe nails like the 50cm one. @fatcat9993: You can check with WinMalaysia (NICI authorized dealer at Malaysia). Alternatively, you may also check with CNS Plaza Singapura, an authorized dealer for NICI products in Singapore. Very very nice people there and they will ship it abroad.